For many U.S. Muslims, the American dream is fading as they endure the fear and suspicion that their religion, race or national origin seems to generate. Yet, to many employers’ credit, the sensationalist attitudes reflected in some news reports typically don’t carry over to the workplace. the Council on American-Islamic Relations and the Tanenbaum Center for Interreligious Understanding. Still, workplace discrimination complaints have edged up, and discontentment exists among some Muslim employees. Many progressive employers have worked to reduce tensions among Muslims and other employees; the suggestions below will help you build a culture of inclusion.
. . . you can’t ignore religion when discussing birtherism. 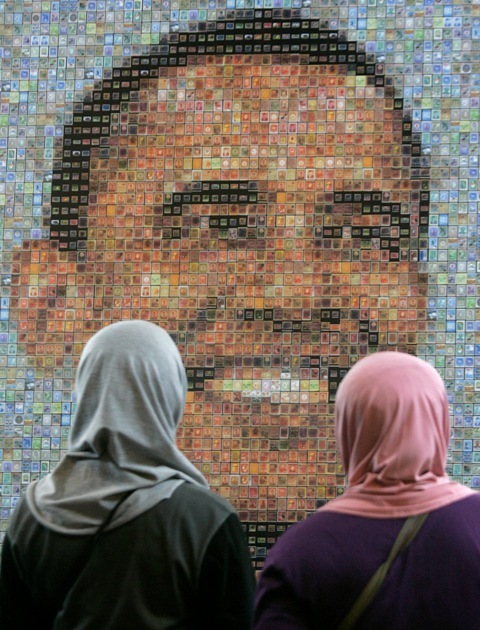 Because it’s a certain kind of religious literalism — one that dominates Republican religious discourse –that is the root of the right’s manufactured distrust of Obama as un-American, not-Christian, possibly Muslim, possibly a secret Muslim Brotherhood agent. It’s that kind of religion that produces the self-satisfaction that there is a truth that is more believable than some piece of paper from a government agency. 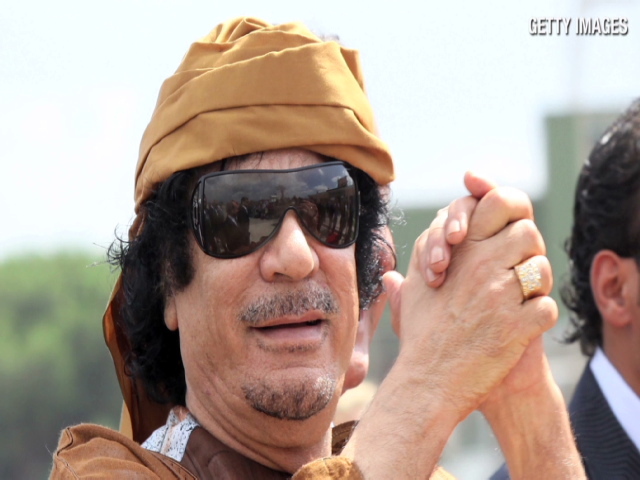 (CNN) — Mohamed Bouazizi couldn’t have known when he struck that match he would spark the “Arab spring,” but it’s tough to imagine he’d be disappointed. Bouazizi’s singular act of protest — to light himself afire before a government building in Tunisia’s Sidi Bouzid — set off one of the most collective demonstrations the region has seen in contemporary times. His uncle, Ridha, a fellow fruit-cart vendor, said the government often demanded bribes and stole goods from them. His nephew’s death, he said, was a result of corruption. “It was because of their tyranny that Mohamed set himself on fire,” he said. Tyranny, it must be noted, was not something new to Tunisia. Before President Zine El Abidine Ben Ali’s ouster, protests were violently quelled. Citizens there had long complained of political repression, corruption and a denial of opportunity in a country where unemployment and rising food prices are oppressors in themselves. It would seem that the 26-year-old’s martyrdom was not so much driven by tyranny as it was his refusal to fear the tyrants — or death — any longer. 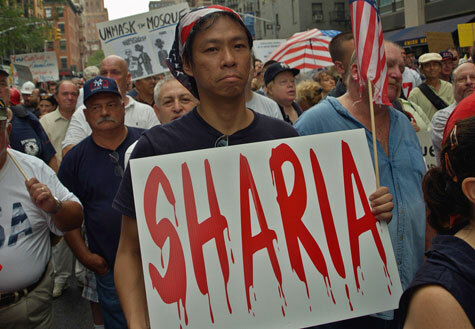 The movement to ban the use of sharia in the United States continues togrow, even as its proponents struggle to find examples of Islamic law posing a threat to the American way of life. Anti-sharia activists have now resorted to focusing on an obscure Florida civil lawsuit called Mansour vs. Islamic Education Center of Tampa. The case, which has been elevated to cause celebre status in the right-wing blogosphere involves a mundane financial disagreement between two factions of the Islamic organization. On the surface that may sound odd. And, indeed, the typical right-wing reaction has gone something like this: “A Florida judge ruled that a Muslim v. Muslim case can proceed under sharia law. I’m being unbelievably serious here! This kind of crap is why I drink, which would get me beheaded under sharia law. ” Ironically, Nielsen is a registered Republican and Jeb Bush appointee. 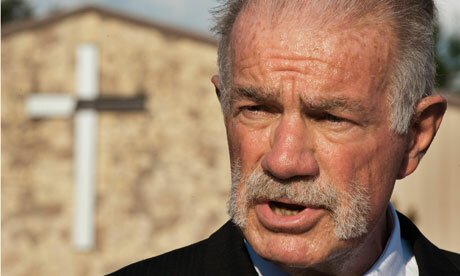 A U.S. jury has banned Pastor Terry Jones from staging a protest in front of the largest mosque in North America in the U. S. state of Michigan. The jury in Dearborn, home to one of the country’s largest Muslim communities, said such a protest would disturb the peace. Jones, pastor of a small evangelical church in the southern state of Florida, made international headlines last year when he threatened to burn the Quran, the Islamic holy book. Jones eventually did burn the Quran March 20 and posted video on his church’s website. The move caused widespread violence in Afghanistan, and scores of people were killed including U.N. personnel. The controversy that surrounds Terry Jones followed him into a courtroom Friday, when concerns about public safety intersected with Jones’s desire to stage the protest. The jury’s decision puts an end, for now, to Jones’s plans. 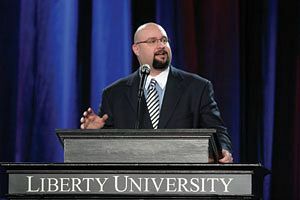 Dr. Ergun Caner, the former president of Jerry Falwell’s Liberty Baptist Theological Seminary, was a rising star on the Religious Right, entertaining audiences at major Religious Right gatherings with his hip, irreverent stories about his upbringing as a radical Muslim and his conversion to Christianity. He is also the author of “Unveiling Islam: An Insider’s Look at Muslim Life and Beliefs”. He is an ex-Muslim who has converted to Christianity, and claims to be a former terrorist. His claims don’t hold up any better than do those of Walid Shoebat, Kamal Saleem and Zachariah Anani. Turns out, according to a growing chorus of critics – many of them Southern Baptists and other Christians – Caner has apparently been lying for years about his childhood and his life story. It’s hard to even summarize the extent of the deceptions being described by his critics, but they include his claims to have grown up in Turkey and to have personally involved in Islamic Jihad, when court records from his parents’ divorce place him in Columbus, Ohio when he was just a few years old. Check some of the critical websites for voluminous debunking of Caner’s colorful (and apparently fanciful) stories about learning about America through TV broadcasts in Turkey and more. Some charges are even more directly related to his ministry, such as his claims to have debated top Muslim scholars around the world. Caner’s critics say there’s no evidence of those debates. These are no vague or reckless charges, but carefully documented exposes that draw from Caner’s sermons, speeches, and online videos, and other public records. Liberty doesn’t seem to have responded publicly, but recently posted a revised version of Caner’s bio with disputed claims removed. Detroit —Wayne County prosecutors are arguing a Good Friday mosque protest by a controversial Florida pastor could incite a riot and are moving to require him to post a bond before his demonstration. 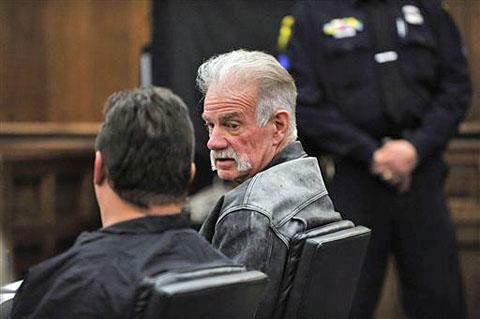 Judge Mark W. Somers of Dearborn’s 19th District Court on Friday ordered Terry Jones to appear Thursday to answer prosecutors’ claims that his planned protest of the Islamic Center of America on the Dearborn/Detroit border could spark violence. The hearing is set for 3 p.m. Prosecutors want a “peace bond” from Jones to pay for additional police officers during his demonstration outside the mosque. The complaint doesn’t specify an amount, but Jones has said Dearborn police want him to pay $100,000 in overtime costs. “The greatest threat is the likelihood of a riot ensuing, complete with the discharge of firearms, unless this proposed bond is granted,” according to the prosecutors’ complaint.